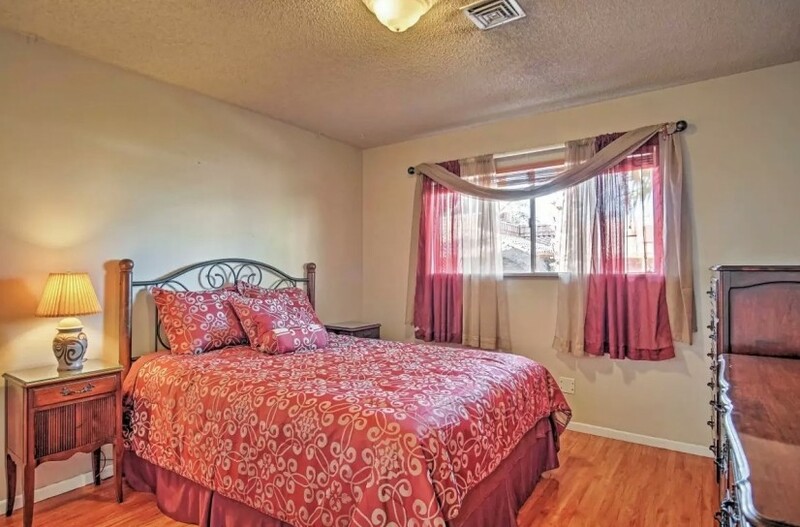 Situated on nearly an acre of land in a peaceful neighborhood just 5 minutes from the airport and only 10 minutes from the Las Vegas Strip, this home boasts incredible amenities including some common ones like the swimming pool, hot tub, childrens playground, shuffleboard court, variety of gazebos, walking paths - all adding up to a relaxing, fun Las Vegas stay. 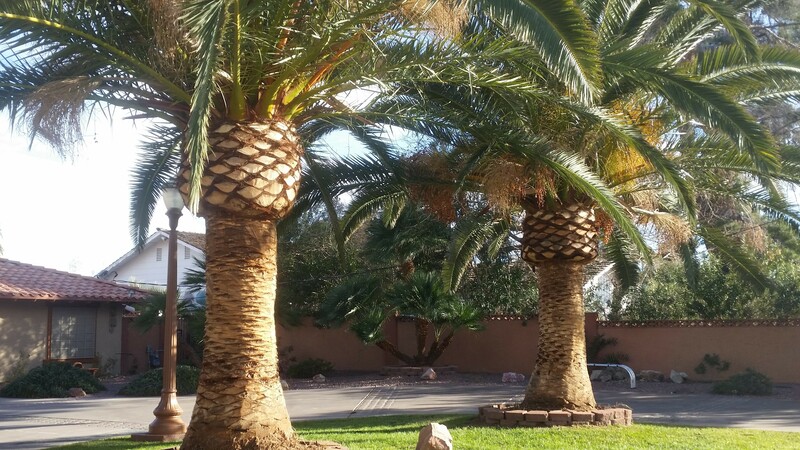 The moment you drive through the gates onto the expansive circular drive, youll be greeted by a beautiful front yard, graced with two massive Royal Hawaiian palms, vibrant green grass, and a lovely Mexican fountain. 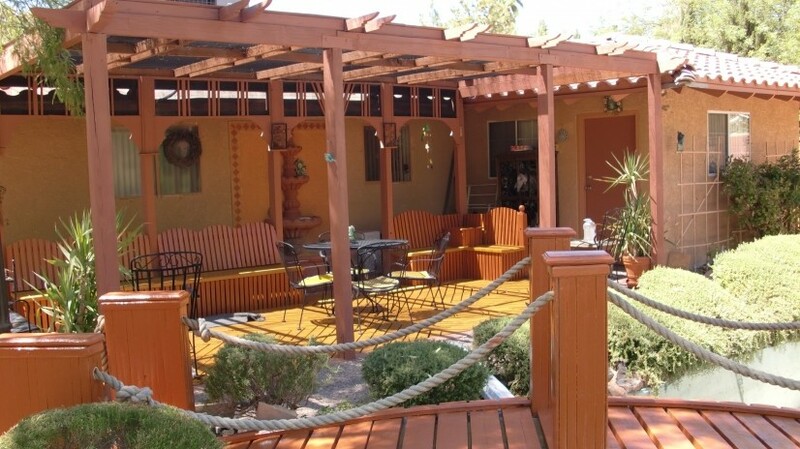 The Casita is located in the back yard. 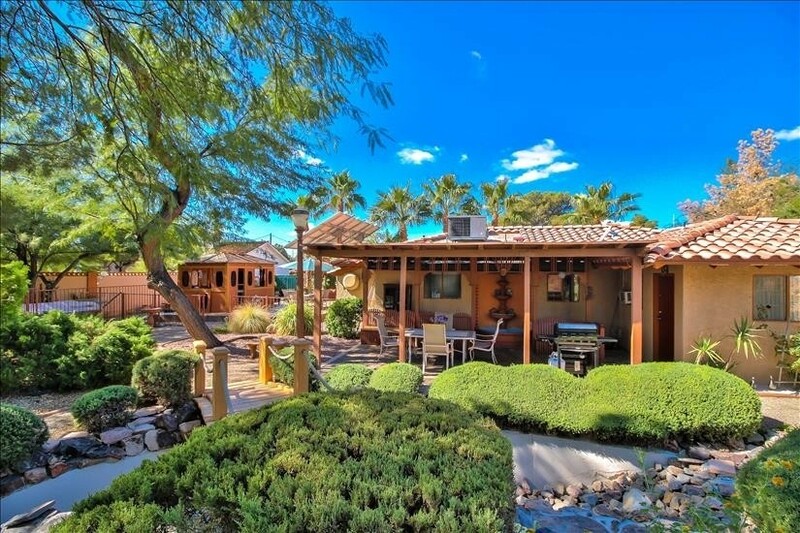 Walking past the large, primary residence, you see, poised on a rise on the far side of the pool, the 2-bedroom, 2-bathroom Casita. This cozy abode retains all of the warm characteristics that remind you of a true home-away-from-home. 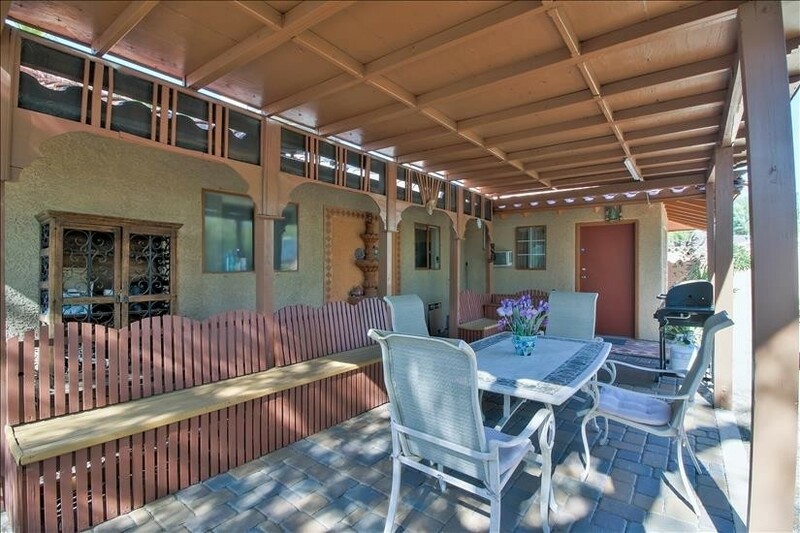 Its natural earth tones and Spanish-tiled roof welcomes you warmly beneath our perpetual sun. 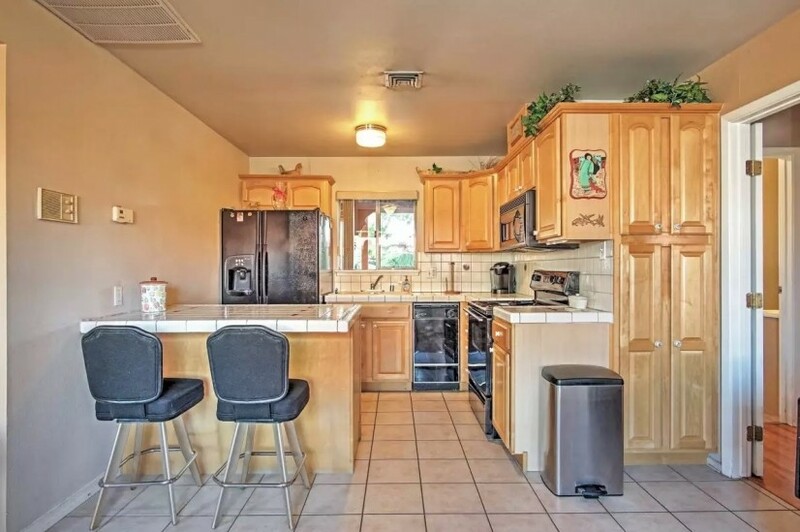 The Casita features tile and wood floors throughout, ceiling fans, complete kitchen, laundry room, and plenty of mirrored closet space. Step out the back door and a green paradise greets you - a bonus one-third acre of shady Mesquite trees that tower over a beautiful grassy knoll with a picturesque arched bridge leading to it, a large, fenced-in childrens playground, a horseshoe pit, walking paths, a cactus garden, and several gazebos for fun or just private reading time. 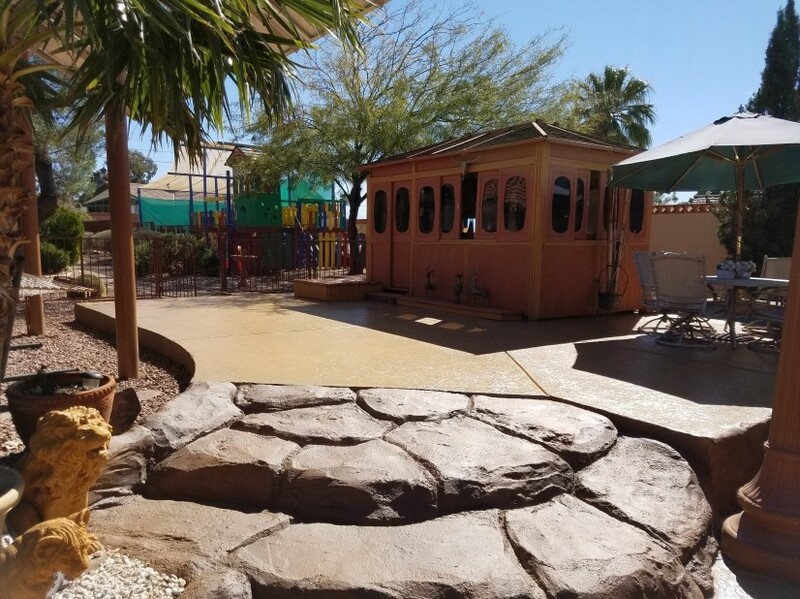 These backyard amenities are shared as common ground with the primary residence. 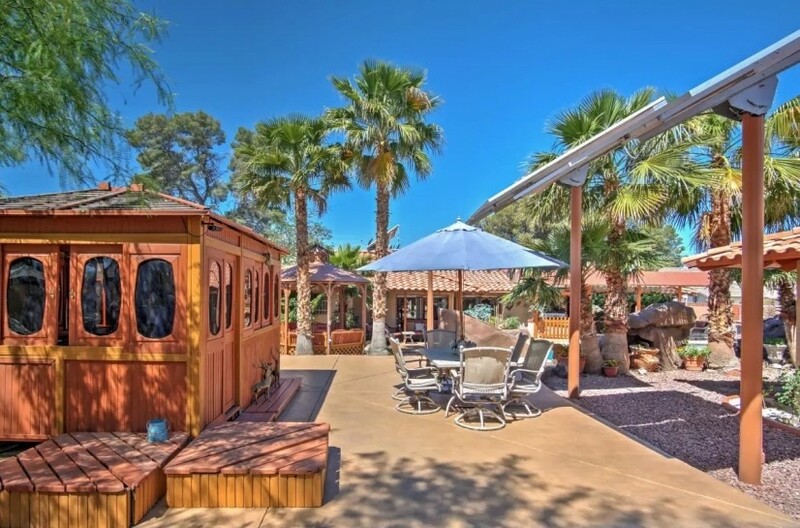 To the south of the Casita, enjoy the 6-person enclosed hot tub, a large fire pit gazebo, hammock, and a shuffleboard court. Two patio tables with large umbrellas offer plenty of extra shade.